Waterfall Info: A waterfall on Camp Creek near Camp Creek Church. 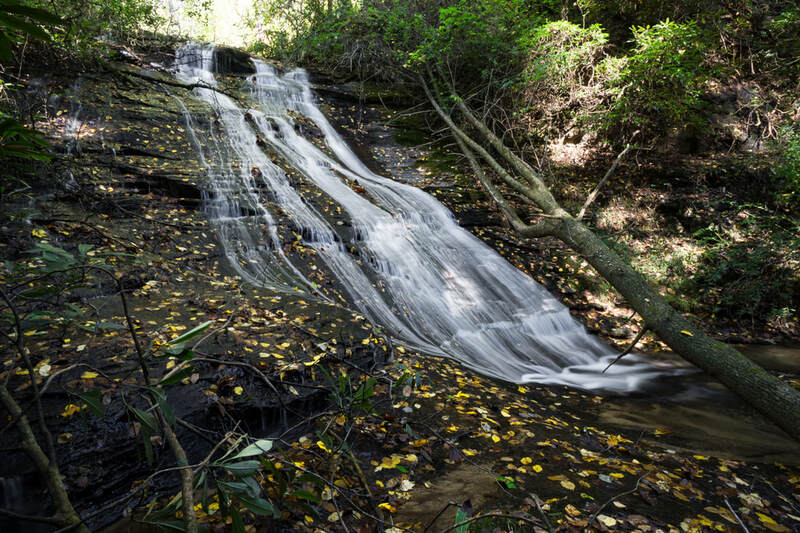 Access Info: This waterfall is accessed by a bushwhack from Camp Creek Road (FS 513). Be mindful of private property boundaries and check the Rabun County GIS property map; the easiest access would involve about 250 yards of trespassing.